This cup noodle is possible the most poorly named product I have even seen in Japan. To celebrate the turning of the year from the year of roosters to the year of dogs, some genius at Ace-Cook came up with this genius name. Tori karai nudooru (chicken spicy noodles), all written in katakana. 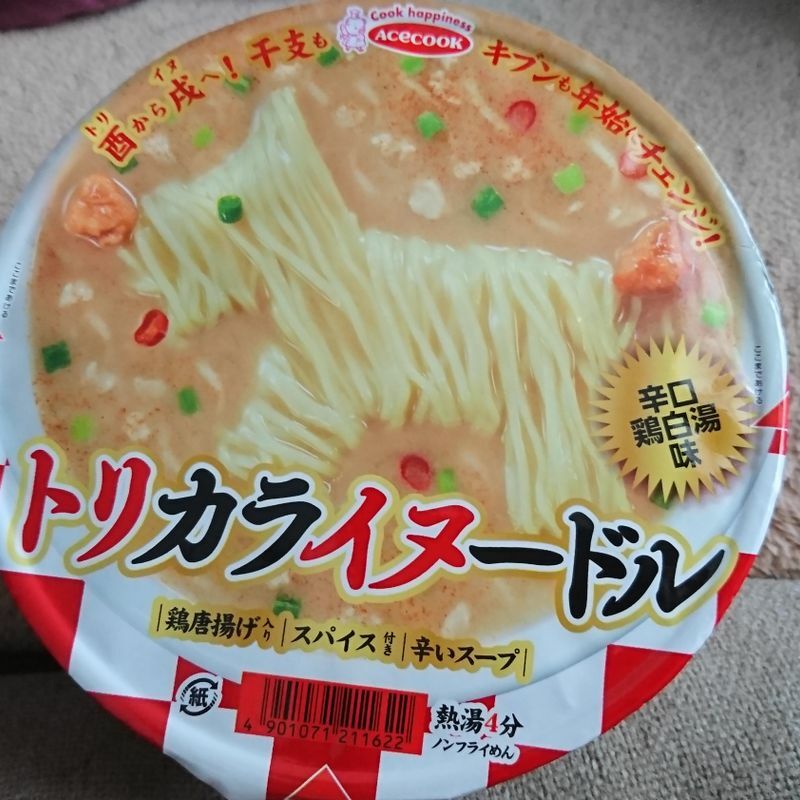 The point, if the ugly red font didn't make it obvious enough, is that the name contains Tori (chicken/roosters), and if you forcefully take the i and the nu from the other two words, you make "inu" (dogs) . 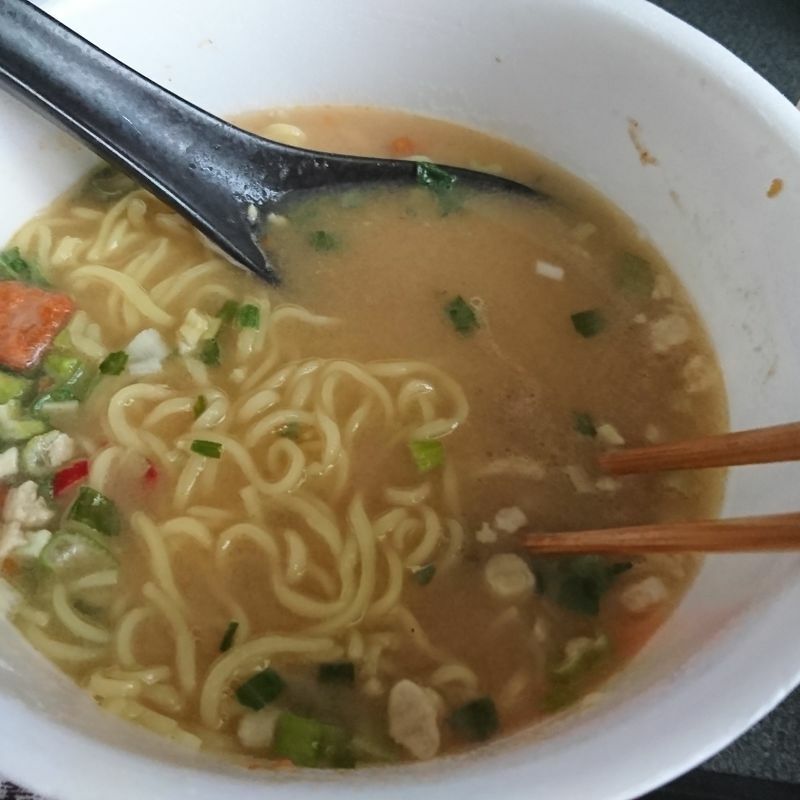 Ugly design apart, the "spicy chicken soup" noodle isn't that good. Despite the very Chinese/Japanese theme, the flavour was strangely middle-east asian. The soup was also very powdery. I know that ace-cook noodles go for cheap over delicate, so I didn't expect much anyway. Regardless, I'll just tell myself that I ate a word puzzle.